Student organizations celebrated their cultural identities at the College’s third annual Diversity Day, held in the Grove this Wednesday afternoon. A lineup of musical acts performed on stage in front of the Arch as guests toured rows of activity tables and sampled cuisine served in themed courses. Ramapo’s Office of Equity and Diversity sponsored the three-hour event. The department’s assistant director, Tamika Quick, views the event as a celebration of intercultural community. Kate Kaoutar, a fourth-year student and peer educator in Quick’s office, organized the day’s offerings. 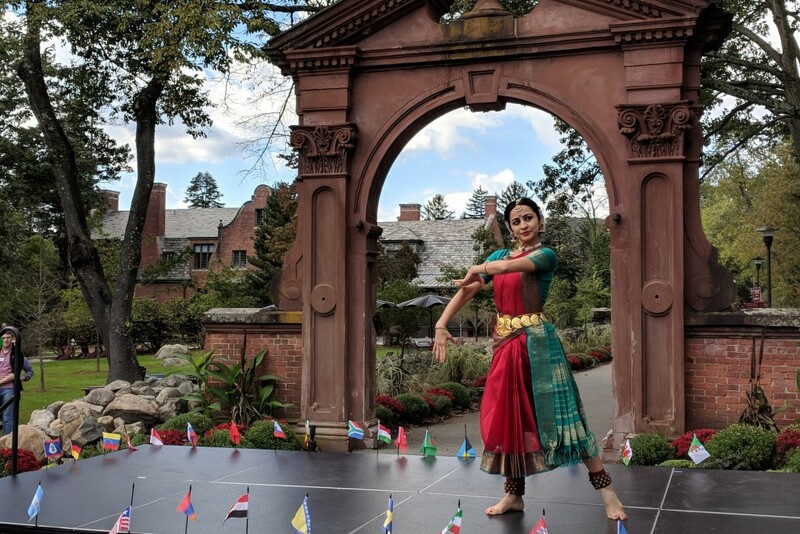 She commenced the event by introducing a gathered crowd to Sonali Skandan, the afternoon’s first performer and member of a traditional Indian dance company based in New York City. According to Kaoutar, the College needs to promote diversity and inclusion with more frequency. Organizations present included Ramapo Pride and the Equal Opportunity Fund Alliance. The two groups tabled next to one another, handing out snacks and pins to attendees. Sophomore Jacob Scott Spann, vice president of the EOF Alliance, agreed with Kaoutar’s sentiment. Fourth-year students Adam Melville and Devin Anthony-Johnson tabled for the on-campus chapter of Brothers Making a Difference, a New Jersey-based community service program. They gave “BMAD” T-shirts to attendees able to name three out of five historical black figures on display at their table. Melville, the vice president of Ramapo BMAD, agreed, saying the event allows minority students to “feel at home” and connected to their peers. 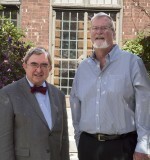 Diversity-focused events on campus may also attract prospective students to Ramapo, he concluded. Kaoutar remained onstage to deliver a few personal remarks after closing out the afternoon officially.